Apparently dressing children up as Disney's Moana this Halloween is racist, according to one parenting activist. Writing in her popular blog Raising Race Conscious Children, parent blogger activist Sachi Feris urged parents not to dress their children up as characters from backgrounds different to their own as it "makes fun of someone else's culture". 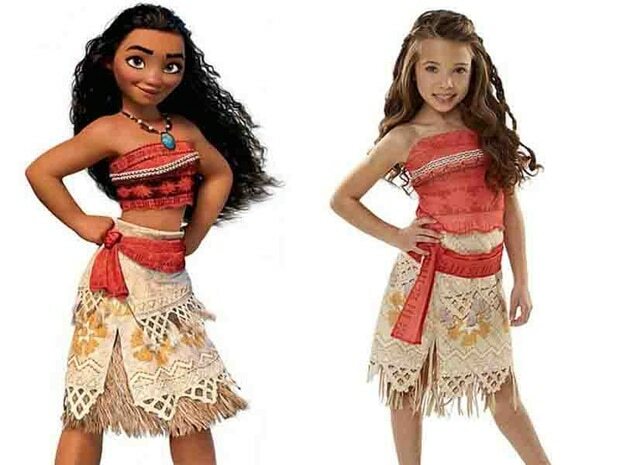 Although many would see the strong-minded Moana as a perfect role model for their child, Feris said it's racially insensitive and risks parodying Polynesian culture, the MailOnline reported. Describing her own discussions with her five-year-old daughter, Feris said: "Moana is based on real history and a real group of people. "If we are going to dress up a real person, we have to make sure we are doing it in a way that is respectful. Otherwise, it is like we are making fun of someone else's culture." One writer for the National Review hit out at the absurdity of applying cultural appropriation to Halloween, writing: "Do you have to be Transylvanian to dress up as Dracula? Do you have to be Egyptian to be The Mummy? Do you have to be dead to be a ghost?" While a parent commenting on the blog wrote: "Kids don't care about race. What do you think your kid is going to tell her friends? She can't be Moana because Moana is different race and culture? "Then when one of her friends is dressed as Moana she's going to tell her it's offensive because she's not the same skin color. "This is literally forcing your kid to be racist. I understand and admire the efforts to remain respectful but she's five."